Maravilloso me dejas sin palabras es absolutamente perfecta. Such a sweet house. 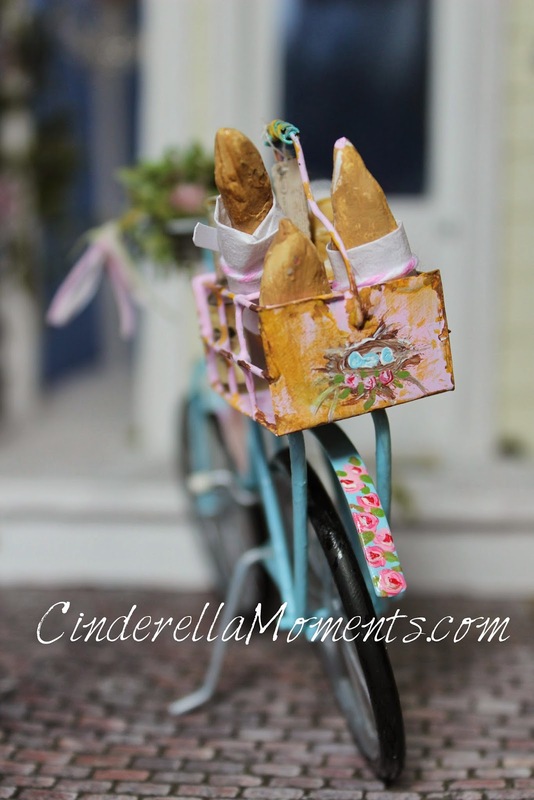 I love all the special touches - the bicycle, the "little" houses and the sweet paintings. 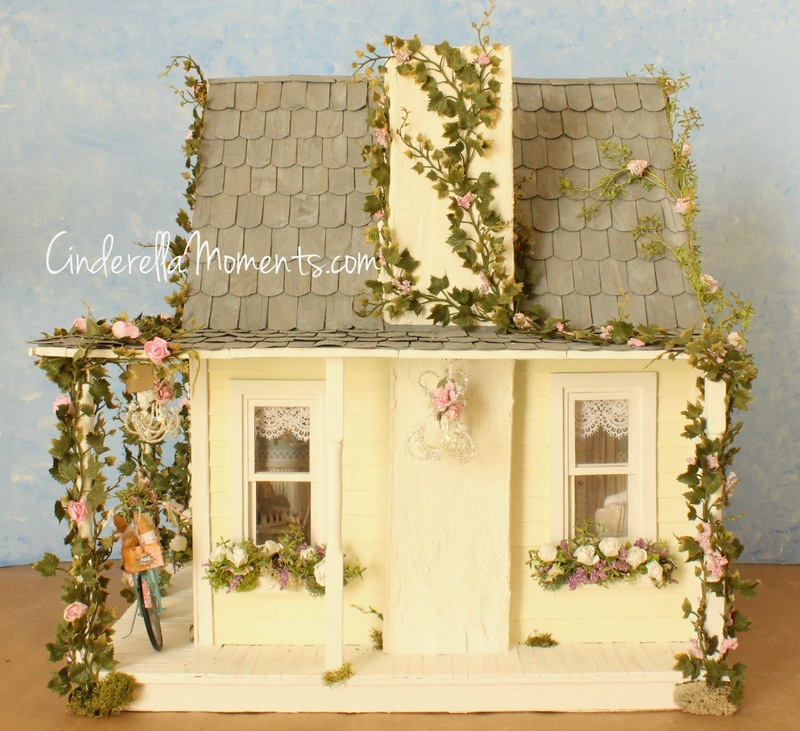 Another adorable cottage! I sooo want to live here! Absolutely beautiful, Caroline! I love it especially the bicycle, it gives it such a homey look. Great work Caroline. It's another winner! You really do have something very special going on with your lovely houses. 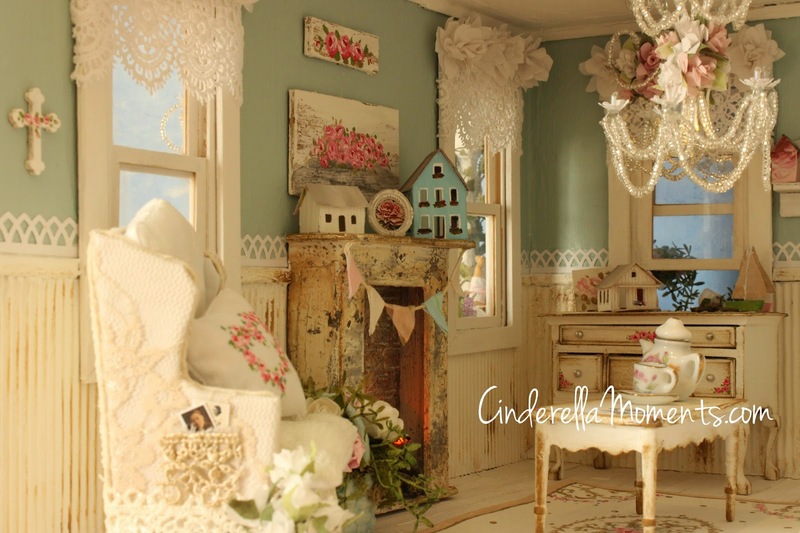 I love the bike, the mini houses and the lace window treatments. Everything in the house works in so well together for a lovely 'feel'. Just gorgeous. Ohhhhhh!!!!! que bonita, me encanta como te ha quedado esta todo perfecto. Si bonito es el exterior, el interior es fin o y elegante. HI Caroline! This house with the miniature houses is wonderful. I like the way you have painted the bicycle, it looks homey and so sweet :D! Every detail is a 'rare gem'! Congratulations for one more wonderful project! One of your most lovely creations. Love the bicycle! it's beautiful and I love that bike..you made it yourself? it looks great! hats off to you crafty girl! OHHH goodness, this is amazing! I love how it's furnished, just wonderful! The little bicycle...just wow! I don't know what else to say. You keep outdoing yourself! That is absolutely gorgeous!! I love the vines, OMG. You and your sister are very talented! Fabulous! I like the firniture and accessories. The bicycle is super. A grand finale! The colors are so feminine and the details are amazing. 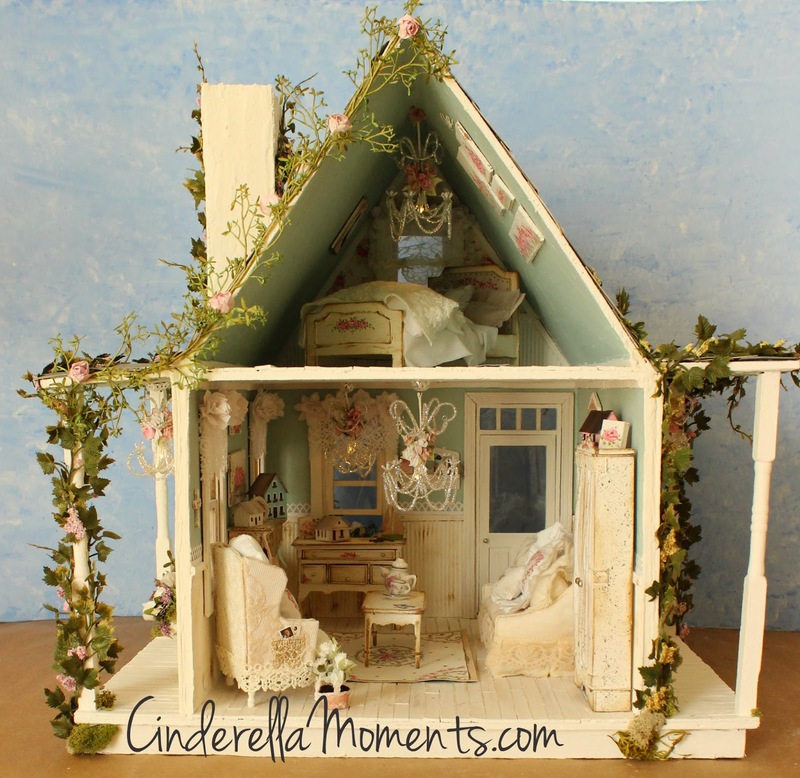 I love that you have hand crafted every detail of this piece to truly make your wonderful houses OOAK. I love the little houses inside, I always think a miniature house as a decorative piece makes the entire build seem more grand..even in mini! Every time I see one of your amazing finished houses I think Wow this one is the best yet. I love your work, both the interior and exterior. Every little touch is absolutely wonderful. Great, great work! 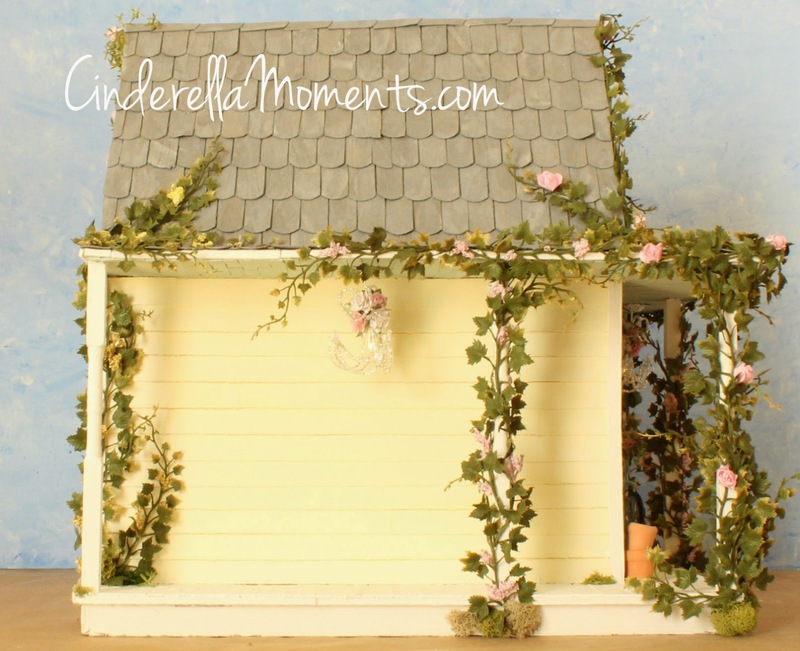 Your decoration on the exterior of the cottage is real gorgeous. I love the bike and the little houses inside. 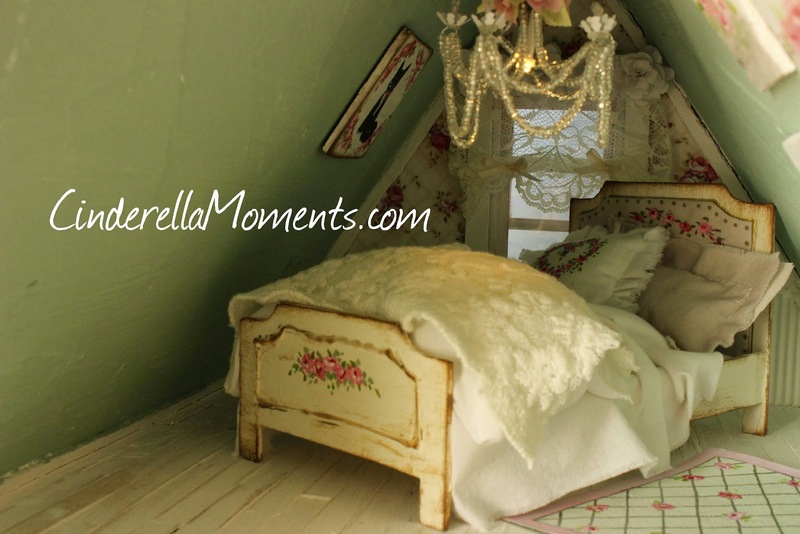 The interior of this house is my favorite of all the dollhouses I've seen until now, you really are amazing. 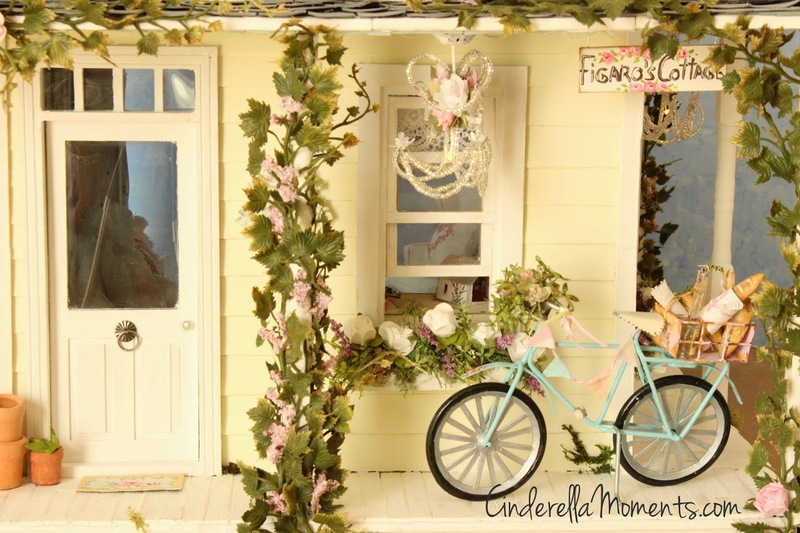 The bike is gorgeous with the basket, the house just looks so cosy and pretty. Love it! Guauuu, es absolutamente preciosa. Me gusta muchísimo como has pintado los muebles, y el ambiente, me encanta. 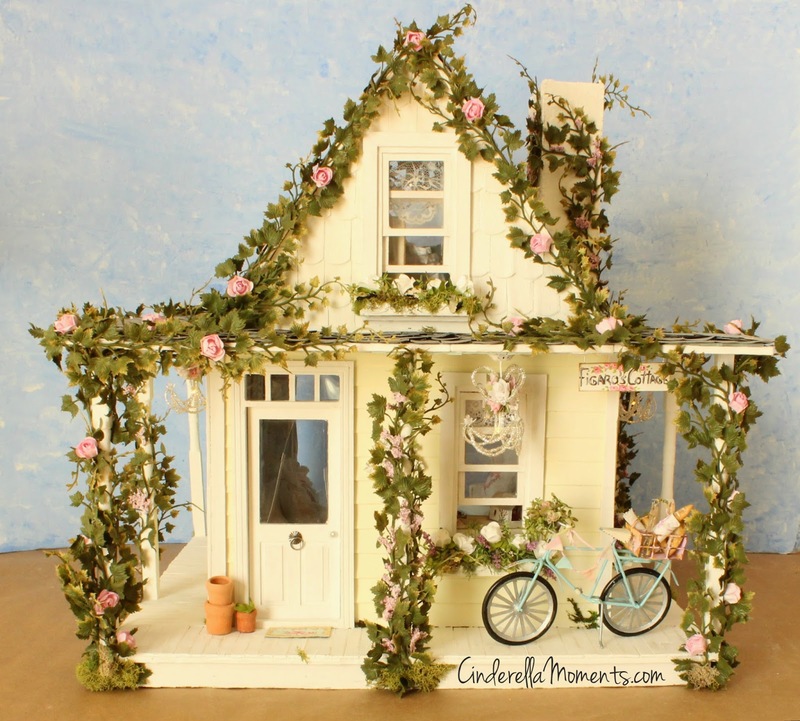 Love what you did to this lil cottage, so cute and so charming, love the addition of the bike to the porch, in my fav color too. I have a bike on my porch with a basket with white azaleas, and love how it looks. Nice shade of yellow too, Darling inside and out. Impresionante!!! No se si es más bonita por dentro o por fuera,me encanta cada detalle,cada color,la bicicleta del porche es preciosa,la cama,las flores.....me gusta todo!!!!!!!!!!!! 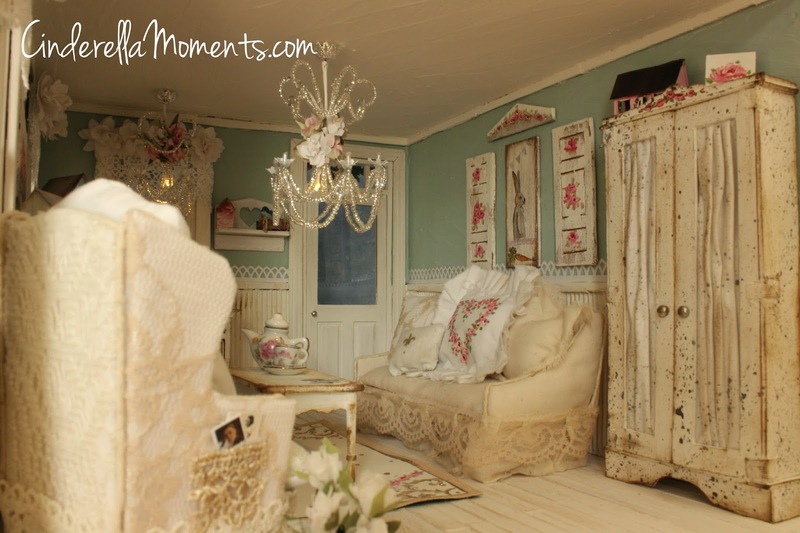 A very romantic and sweet cottage with wonderful details. I love this house, it is so very romantically both inside and out. Your beautiful white pillow with roses in heart is so very wonderful. I'm a big fan of your style, I am completely in love in this house. Another wonderful house to drool over :) I love it the bike it is gorgeous. The tiny houses on the fireplace are beautiful. The outside is so pretty. 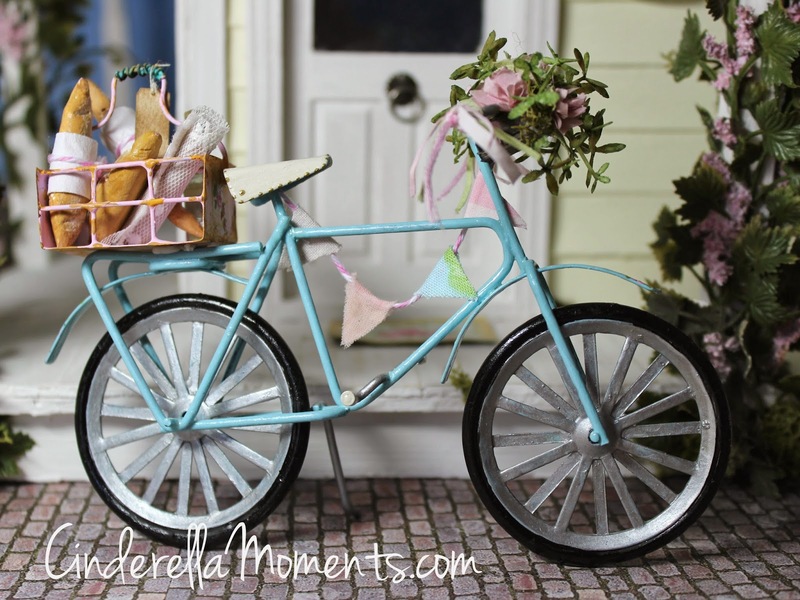 Every little touch is wonderful.I love particulary the bicycle to the porch! Great work,Caroline! Everything has been fabulous you, but that little bike has stolen my heart, I love it. A big kiss.Monica. P.D.Thanks for your comments and your time to wander through my blog. I was trying to figure out what is best....the outside or the inside of the house....I can't choose. You put so many lovely details on both sides that it's impossible to choose. The bicycle is stunning and the interiors are perfect!!! I could stare at all the lovely cottages and houses you make for ever!!!!!! So very well done!! !